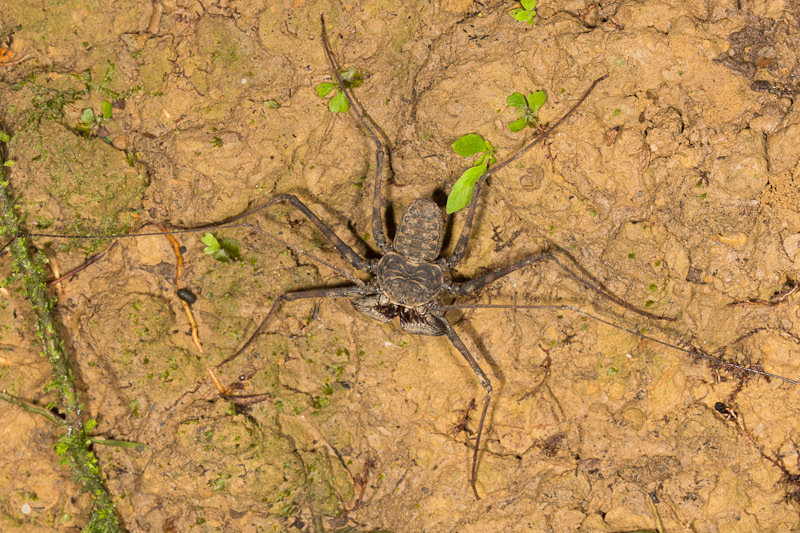 These fearsome looking arachnids have an order to themselves, Amblypygi. 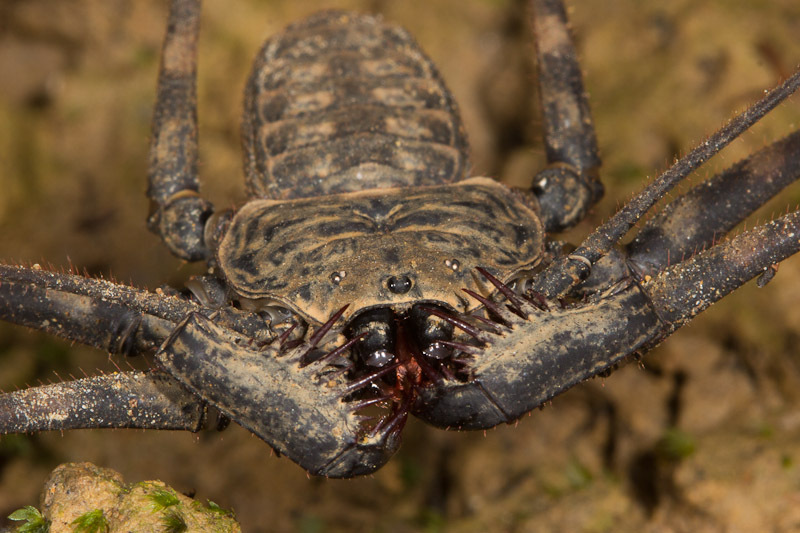 Though commonly called tailless whip scorpions or whip spiders, they are neither. Intimidating though they may look, they aren’t dangerous and possess no venom. They are quite timid in fact, and I had to take care not to scare them away while photographing them. Here’s how you might expect to see one actively moving about, with its oversized first pair of legs outstretched.